Apart from the historic development of languages, philology also studies their structure, interrelations, as well as their influence on the culture of people. Philology includes a number of independent sciences, e.g. literature studies, ethnography, folklore studies, and linguistics. Let’s have a closer look at a philologist’s profession. Who are philologists and what do they do? 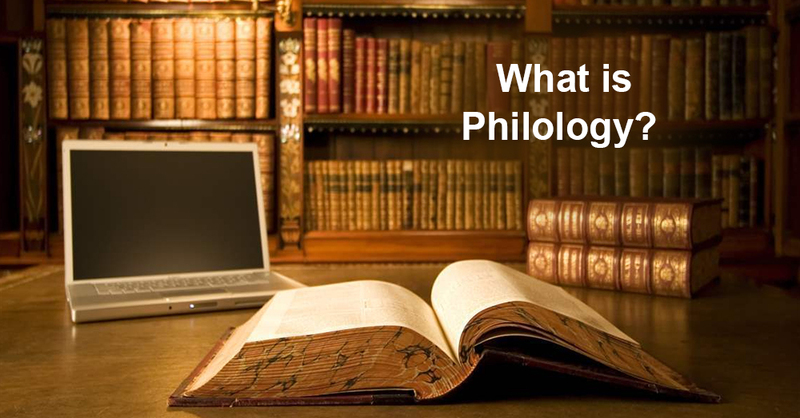 A philologist is a specialist who studies different languages, their structure, and history. A philologist also deals with the analysis of texts and other literary works. Philologists have a vast sphere of activity. Every philologist has to have a complete command of a few languages. It should be mentioned that philologists are not only creative people, but they are also good journalists, successful translators and interpreters, writers, critics, editors, and script writers. Nowadays, a philologist’s profession is extremely diverse. What does philologist’s job involve? A philologist’s job involves studying texts and other works written in different times. A philologist determines various changes in words and the language, as many words have changed their meanings in course of time. Philologists have to travel a lot, in order to collect the information in the places where they can find the initial form of the language. Philologists always carry out the in-depth analysis of the information they obtained. Most frequently philologists work as teachers of languages or literature. Their skills of delivering information to other people as well as their ability to make people interested in what they say are irreplaceable. Education in the area of philology is one of the advantages of any editor, as it ensures a high level of literacy. Undoubtedly, a philologist’s profession is not suitable for everyone, because such a specialist must have many qualities, such as diligence and love to read, as the work of this specialist involves a long reading, then correction, translation and editing of various texts in any language. A philologist also has to be extremely attentive so not to miss any tiny detail. In addition, a philologist has to be a good public speaker, as the majority of philologists work as teachers, and this skill is essential for them. To be a philologist is to have a large number of opportunities which will let you find your place in various spheres of activity. Being in demand. Philologists have a perfect command of languages; therefore they can occupy any post. Knowledge of foreign languages helps find a job abroad. A philologist’s job is a hard work that requires diligence, rich imaginations, communicative skills, and literacy skills.